Edit: Here’s the link to the outline. This OBVIOUSLY has spoilers so I recommend you don’t read it if you plan to read Matter of Time strictly as a reader. This is for WriMos that want a basic idea of an outline and what I go into the month with. 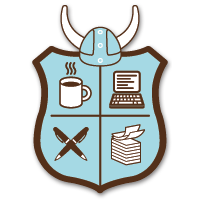 So last week I announced I will be doing my NaNoWriMo online. I will be posting the chapters as I write them on the blog. My goal is to inspire people who think this is an impossible feat. I want to show you my process to tackling the undertaking. I take a pretty organized approach to this and my GOAL is to make a complete and coherent story I’m happy with that is 50,000 – 55,000 words long. So in this case my protagonist is Russell Belkin, a twenty something financial advisor for a successful businessman (who also happens to be his close friend). He’s also a superhero, dual identities and all that. Here’s where I would write down the list of the other heroes in the story: the supporting cast. Each character should get a sentence or two just to mention their motivations and what makes them tick. Keep it simple. Setting is next, just decide where the story takes place AND what locales the story will cover from start to finish. Get scenes in mind and limit it to four or five so you don’t get overwhelmed. Fleshing out the scenes is easy for me to do in a later revision. The lesson here is to play to your strengths. Anyone that’s read my B.O.S.S. stories probably notices I don’t do a lot of scene building. In my novels it’s something I go back and improve. Tone. Make sure you aren’t overstepping your bounds. Set rules to what can happen and what can’t. Basically Violence, Sexual content and language. This can be a very important step. For Matter of Time I’m aiming for a PG-13 feel. Length. Because this is a NaNoWriMo project your length has a guideline. I recommend conforming to this. Don’t say “Oh, well I can always add more.” Aim for a goal a little higher than 50,000 (I did 52,000 last year), that way you can comfortably coast into the finish line with breathing room. Nothing worse than doing 49,870 at the end. Plot. So here’s the fun part. I HIGHLY recommend a battle plan. I’ll save you the writer babble. Think of it this way. Start with where you want your hero to be. Consider where he will end up. 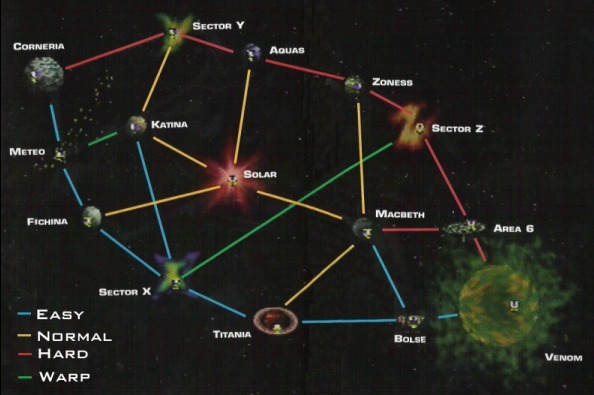 Think Star Fox. All paths lead to Venom. Sounds easy right? It’s because it is. If you think this way all it takes is the ability to draw lines. If you take a map of your home city and draw a line between your house and somewhere else, there are places you will go on the way. Exactly how you might swing by a fast food place for a burger, you can do that in your plotting. You just need a good idea how long that will take you. If you break it up into chapters you may find 52,000 words breaks into Twenty-five 2,080 word chapters. You can decide what is important in the story that may need two or three chapters, while other things may barely need one. This roadmap helps you take shortcuts when you need them and put detours in when the story is falling a bit short. When writing your outline, include optional scenes. This allows you to have a backup plan if things run short. Also note scenes that can be cut, in case you go too long winded. Banish that idea that oh well a few thousand extra words can fix it. This is writing on a budget. You will be better for it, I promise. Later today I’ll link my outline for a Matter of Time, for those just reading you can skip it of course, but anyone planning to do the NaNoWriMo this year, I would recommend taking a peek, perhaps comment if you have some tricks to share. Remember, there is no ‘right way’ I’m just showing you ONE way. Good Luck NaNo warriors! Feel free to add me as a buddy.